Kentucky Equality Federation today issued a "Cease and Desist Order" to Logan County Schools for the distribution of Bibles in their school district. This is yet another school district in the commonwealth which has required a warning. (previous press release). SUMMARY: I am the Vice President of Legal for the Kentucky Equality Federation, and write on behalf of the organization to support Ms. Alms and any other parents who rightfully find issue with the practice of allowing this distribution on school property, as it is in direct violation of both the U.S. Constitution and Section V of the Kentucky Constitution. "I believe in God and I know God loves all people. I am a practicing Christian, and I also practice Taoism. However, a public school is not the proper venue to distribute religious materials of any type," stated Kentucky Equality Federation President Jordan Palmer. "This practice will cease immediately or I will instruct our legal department to sue the Logan County School District. I will teach my children about religion at home. We again are notifying the Kentucky Department of Education and the Office of Kentucky Education Secretary, Mr. Joseph U. Meyer." 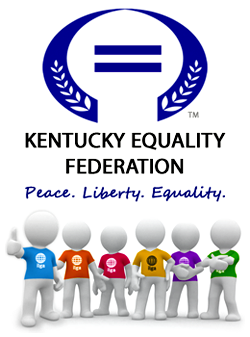 Kentucky Equality Federation's Religious Outreach Director, Minister Edith Baker, Ph.D. again stated: "Here is the foundation of this matter; if Christians are 'allowed to pass out Bibles,’ then all other religion and non religious groups, including the 'Church of Satan' will have this right. As a Christian believer since childhood, and an ordained minister, I believe we have enough homes, churches and other public venues to provide this service." "Simply stated, what is occurring in Logan County schools is unconstitutional," stated Kentucky Equality Federation's Chairman of the Board, Brandon Combs. "The response given by the Logan County School District's hired counsel is a red herring, at best. At worst, it demonstrates the acceptance of negligent behavior by the district's personnel. This incident occurred in an elementary school. At this age range, religious studies should be directed by the each student's family, not the school district." 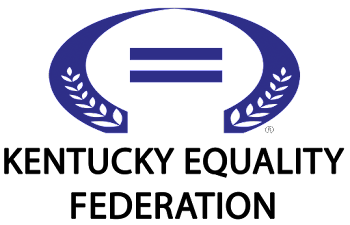 Speaking about the response received from the school, Kentucky Equality Federation's Vice Chairman, Gary Fowler, PsyD, CDC/ASPH Fellow stated: "I think the response provided by the school district’s attorney is a standard scapegoat. The case cited had no bearing on this case as was quoted regarding allowing the passive distribution of these materials. It is my understanding and their admission that this was anything but a passive distribution because each child was handed the material and expected to take it. Also, the letter eludes to the individual distributing these materials as a long time member of the community which in turn, at least to me, suggests that the knowledge of what type of material this man was bringing for active distribution was implied." --> Sign now to urge the Kentucky Legislature to amend the Kentucky Civil Rights Act to include sexual orientation and gender identity.